As much as your suit, dress, shirt and shoes are important areas to focus on when you’re putting together any outfit, we often neglect to think about or look over the importance of the accessories you wear or use in your day-to-day business life. 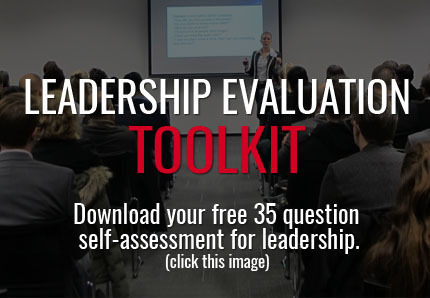 I often tell my clients that even the pen you use in your business life contributes to your professional image and impacts the impression others will form about you. 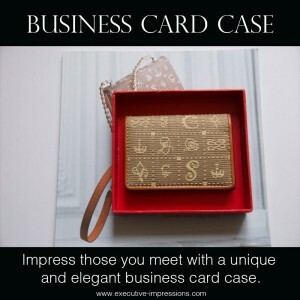 So, whether you’re an entrepreneur or a corporate employee, if you want to impress new clients or a future employer, you really need to pay attention to every detail of your outfit, including your accessories. 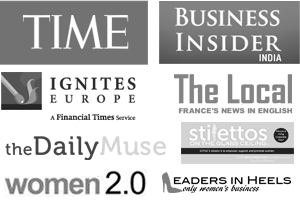 Below I’ve compiled a list of 5 items that will help you look the part in today’s business world. 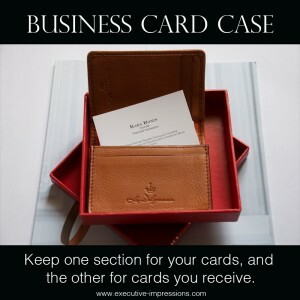 Exchanging business cards is such a common occurrence for many professionals, yet many in the Western world don’t own or have never used a business card case. This essential item will not only help keep your business cards more organised, but I guarantee it will impress those you meet. When I walk down the street in a busy city centre, one of the biggest outfit mistakes I see professionals make is carrying the wrong bag. Sometimes it’s a bag that should be reserved for a weekend at the beach, other times it’s a bag that has way too much bling. In either case, this style of bag will not make you look professional. Even though many of us keep our schedules and notes in a smartphone or tablet, there may be a time when it’s more appropriate or easier to keep your notes in written form. During meetings, smartphones are not always welcome. And what if your battery is flat because you forgot to charge it the night before. 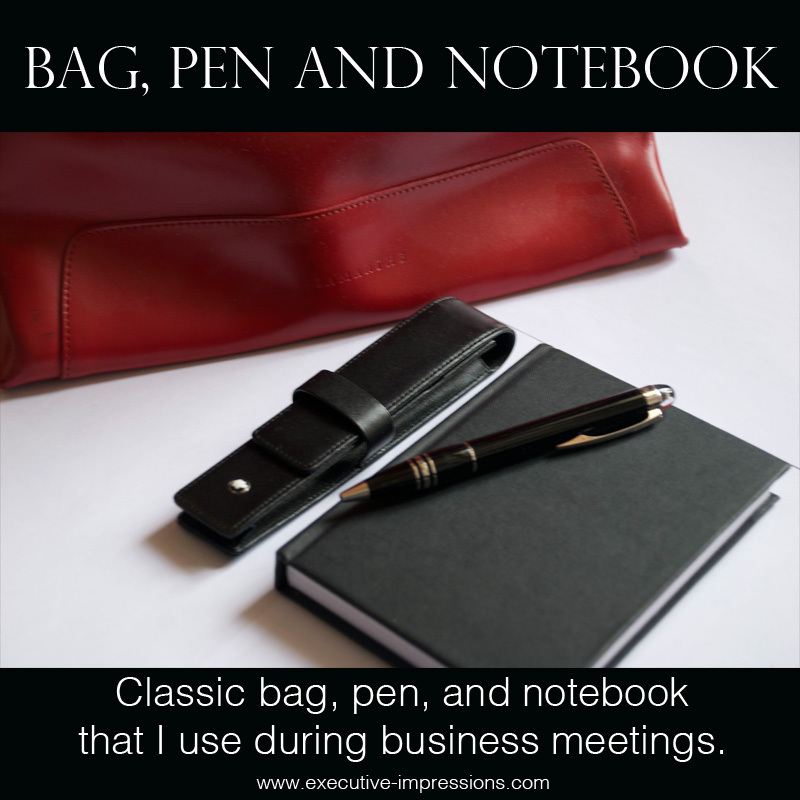 It’s always handy and prudent to keep a small notebook in your business bag for these situations. To match your classic notebook, and your professional image, you’ll want to make sure the pen you use isn’t something that was given to you by your local dentist. It will be well worth your interest to invest in a quality, professional looking pen. They don’t have to be expensive. For around $20-$40, you can find a pen that will look professional and last you for years to come. If you don’t want to get the reputation of being somebody who is grumpy or not approachable, a smile should always be something you wear when you greet others in business and even in your social life. A smile is easy to get, and doesn’t cost you a dime. And it will win you valuable points when you’re trying to influence others and connect.